Jerry Falwell Jr: Trump Is A "Good Moral" Example For America, Democrats Are "Fascists And Brownshirts" - Joe.My.God. Donald Trump is a “good moral person” and an example to the nation, according to one of the most prominent evangelical Christians in the US. 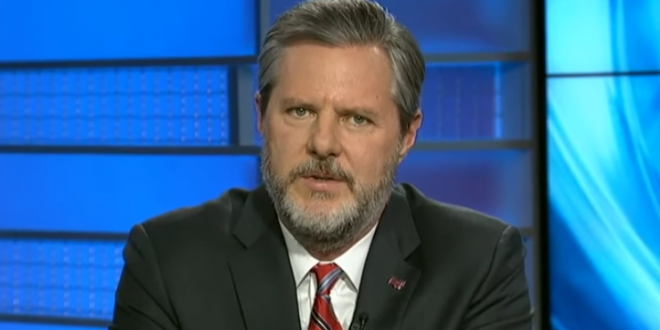 In an interview with the Guardian, Falwell also described the Democrats as fascists and “Brownshirts”, and said the US would be engaged in civil war if this was the 18th century rather than the 21st century.